Motorola has already launched the Moto G4 and G4 Plus but looks like Motorola is developing couple of high end models, silently, under the hood. At Lenovo’s Tech World Event, which will be held on 9th June, Motorola is probably launching the Moto Z Style and Moto Z Play. The naming is totally similar to the naming of ‘X’ Series. 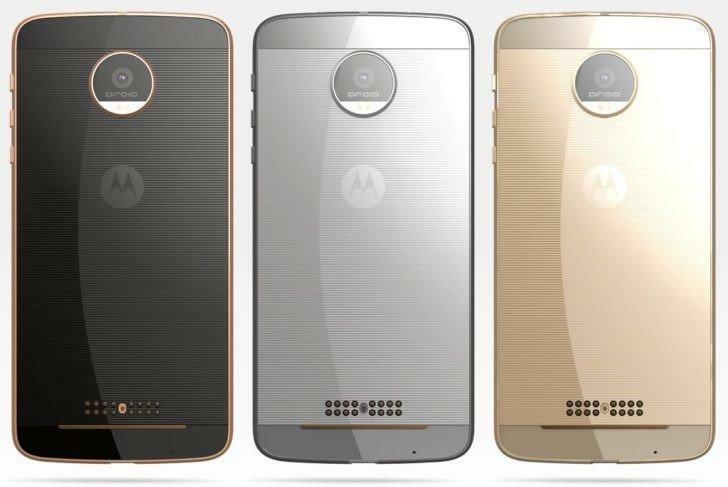 The new Moto Z line up will probably replace the Moto X Series, which is known for flagship devices from Motorola. Both the Moto Z Style and Moto Z Play are expected to come with interchangeable modular back panels (Mods) and, just like the Moto G4 Plus, they will have the fingerprint scanner on front embedded in the home button. We don’t know much details as of now, but keeping in mind the design of previously launched Moto X Style and Play, the Moto Z Style may be built with some premium look and finish. However, there is a rumor that Verizon may launch two additional variants with Droid branding. In terms of power and performance, Moto Z Style will be powered by a Qualcomm Snapdragon 820 processor with 3GB or 4GB of RAM, coupled with Adreno 520 GPU, while the Moto Z Play will be powered by a Qualcomm Snapdragon 625 processor with 2GB or 3GB or RAM and Adreno 506 GPU. In the case of that, on-board storage may also vary between both the devices. Moto Z Style is expected to come with 5.5 inch Quad HD AMOLED display while the Moto Z Play might sport a 5.5 inch 1080p full HD display. Motorola has proven themselves for Tough Unbreakable Screens in Droid Turbo 2 & Moto X Force. 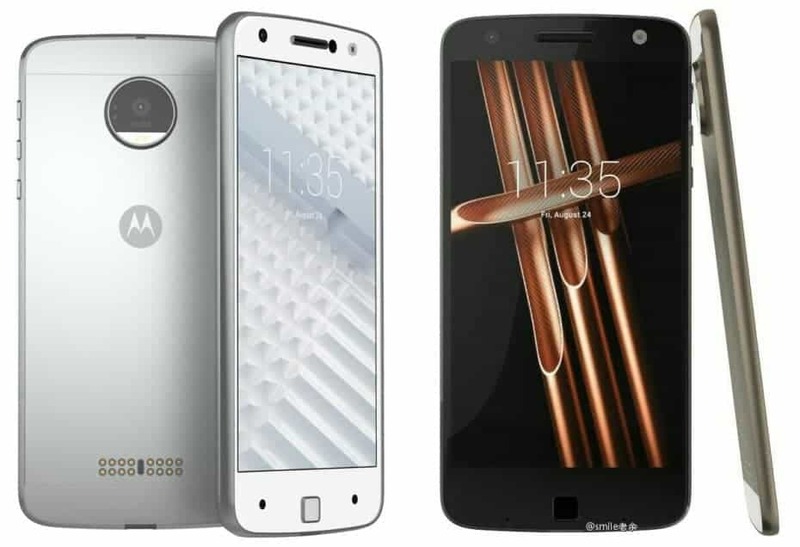 Thus, we expect that Motorola will provide Gorilla Glass protection if not a Layered Display like Moto Droid Turbo 2. Moto Mods or Style Mods?? 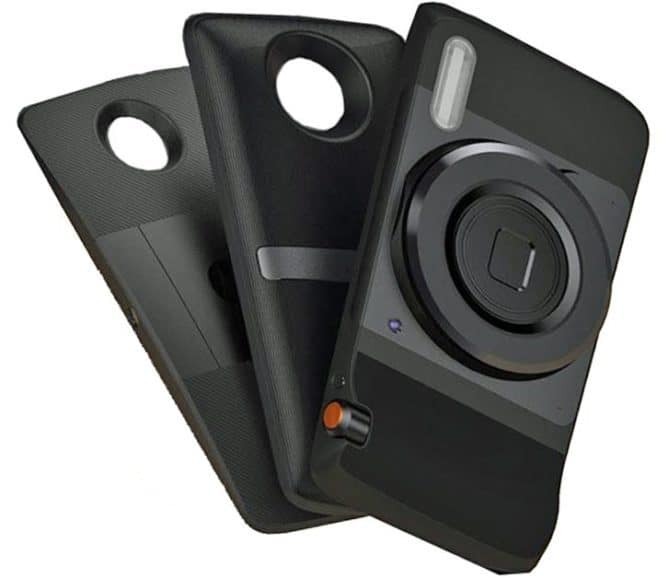 Last month Evan “@evleaks” Blass released the images of Moto Droid & few Moto Mods stating: From left to right these mods are the pico-projector, stereo speakers, and the camera. 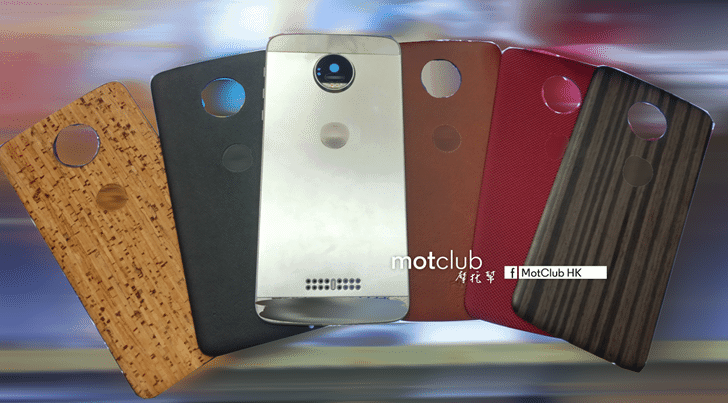 The recent leak from a source called MotoClubHK has further revealed a set of pictures looking like the Style-Swap covers referred to as “Style Mod”for Moto Z series. The camera module appears to be an oversized lens with a blurred logo in the center of the Style Mod. These Style Mods appear to be coming in leather, wooden and plastic variants. This looks like a replacement of Moto Maker which was exclusively available for Moto X Style Pure Edition. This is all we can guess as per the unofficial leaks. Ofcourse, there is nothing officially revealed as of now. Lenovo’s Tech World 2016 event at San Francisco(CA) is just a couple of days away (June 9th) now. We can definitely expect a huge makeover of Motorola’s High End X series now. What do you think about this?